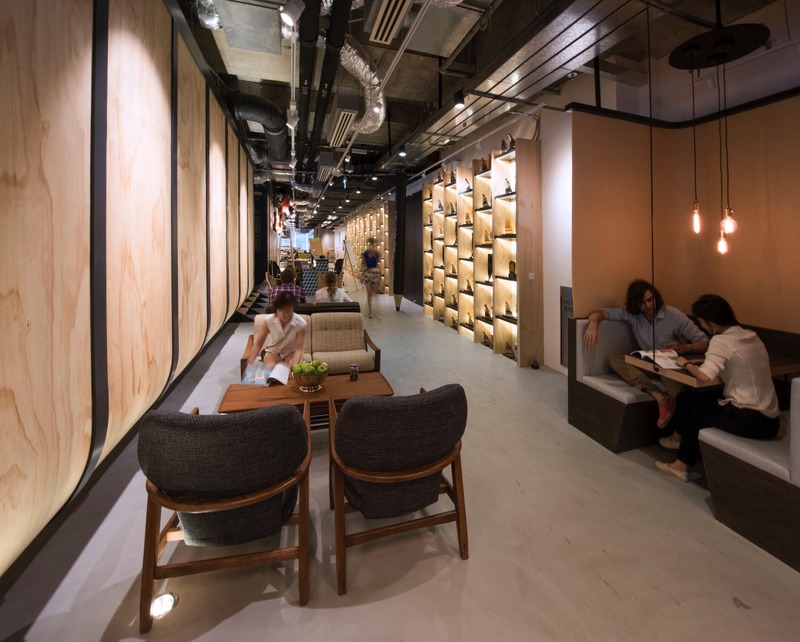 Inspired by the post-industrial culture of Kwun Ton. 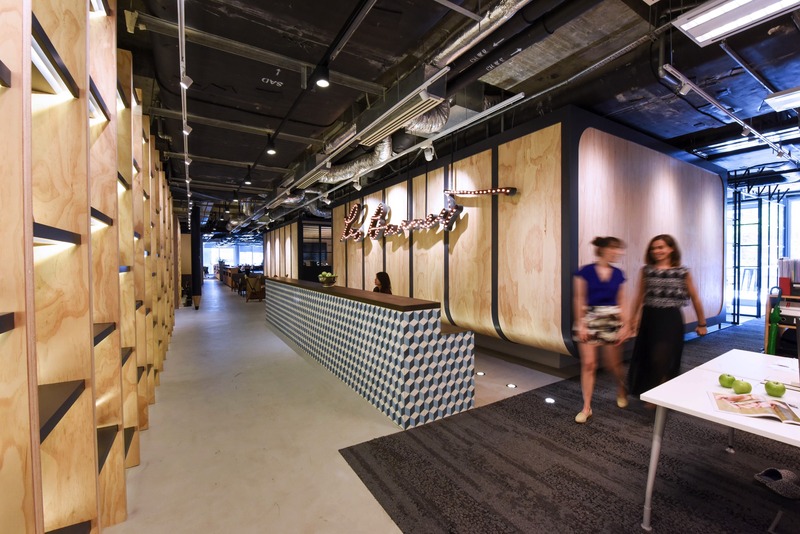 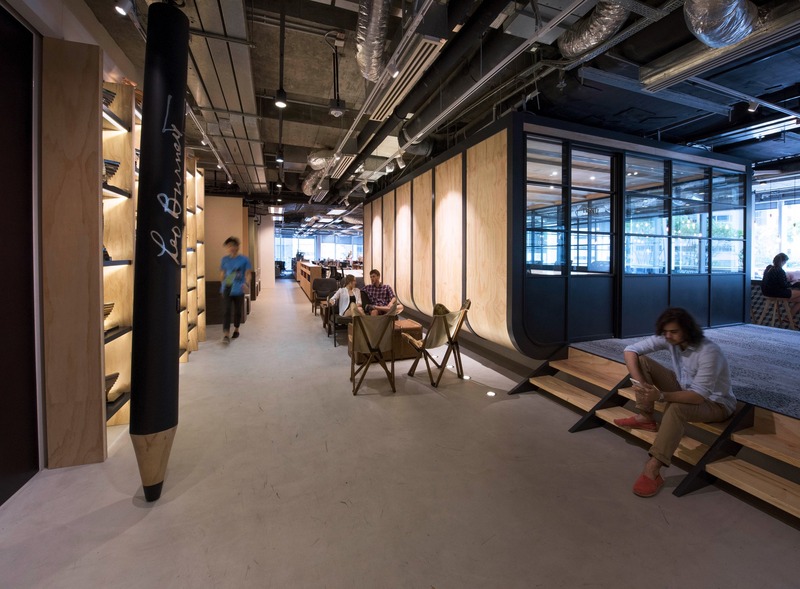 Bean Buro created an innovative and collaborative workspace for world-class creative agency Leo Burnett. 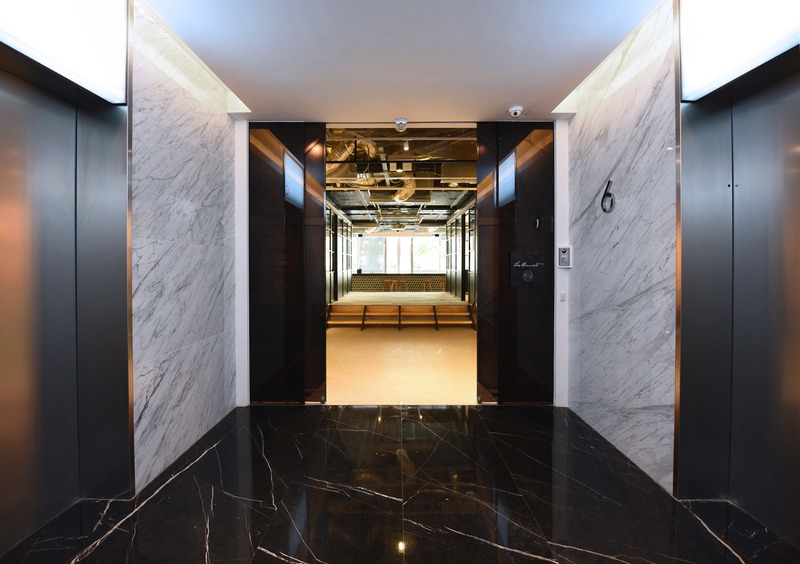 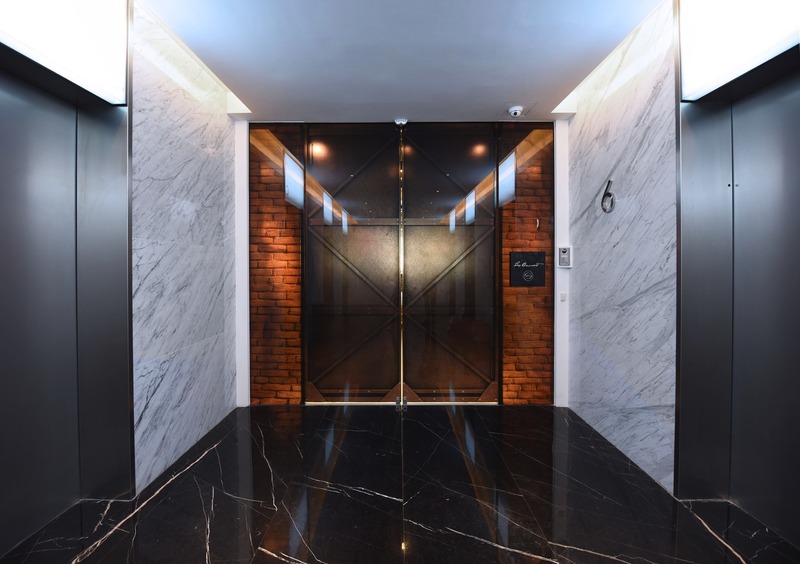 Located in the Landmark East AIA Kowloon Tower in Kwun Tong, Hong Kong, the design inhabits two floors as well as a large external terrace, totaling 35,000sqft (1765sqm). 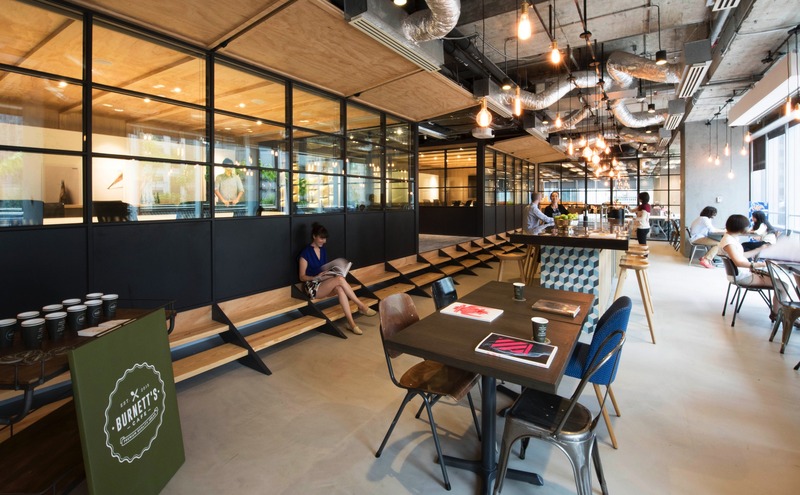 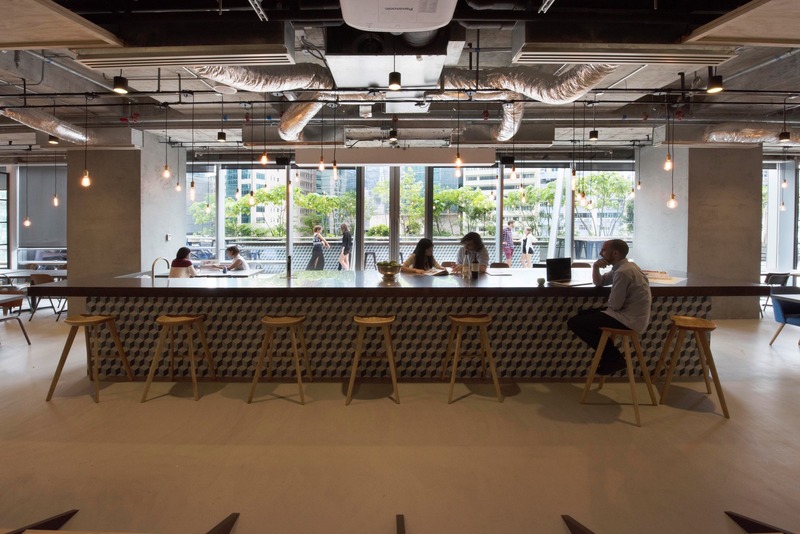 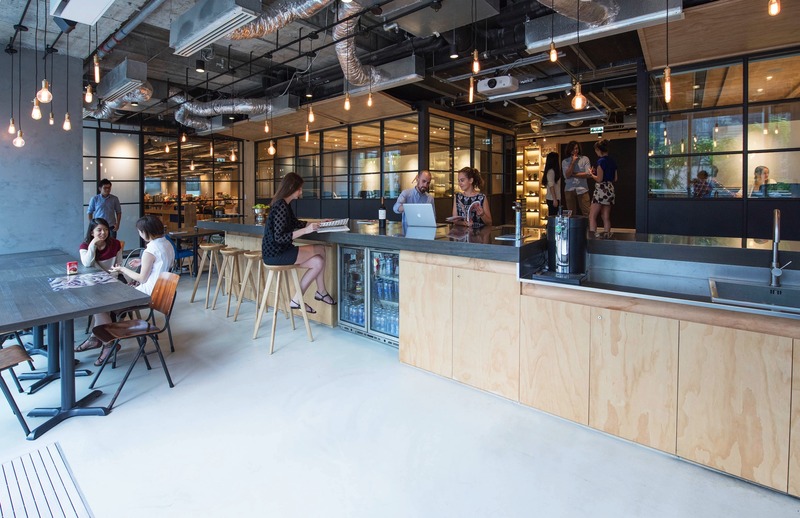 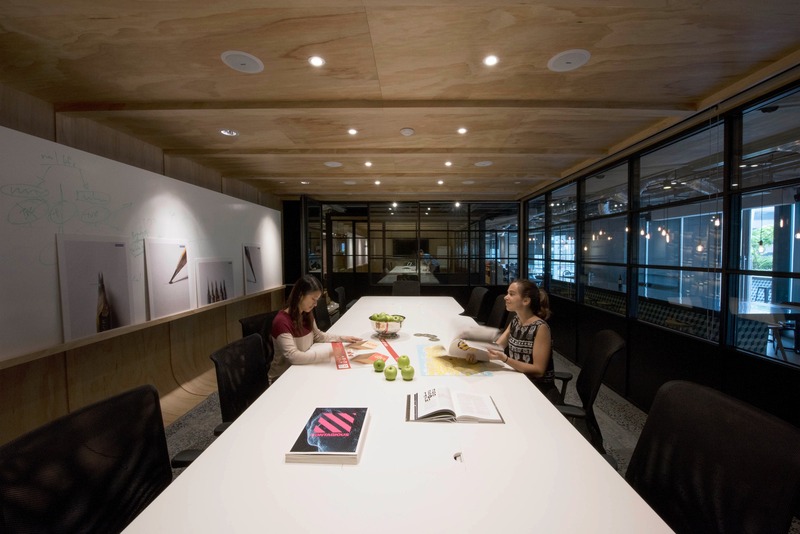 Inspired by an exchange of contextual narratives from the local culture of post-industrial Kwun Tong, the design encourages social interactions between staff to increase creativity and collaboration. 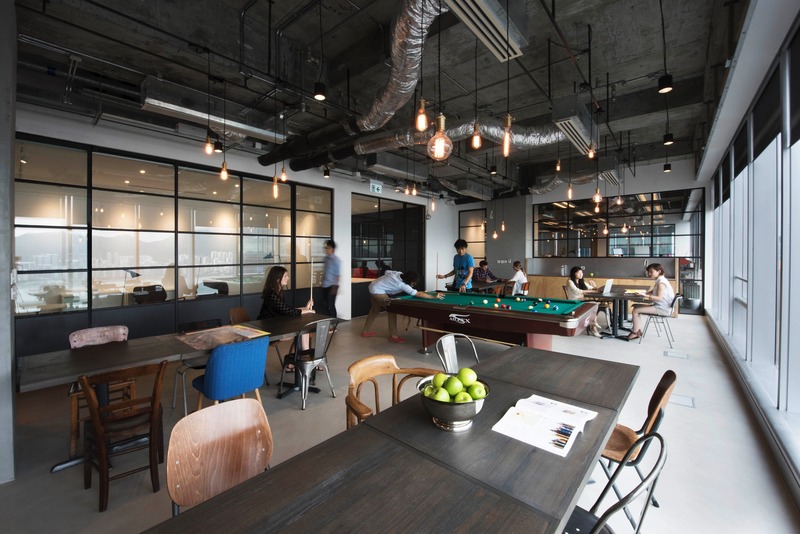 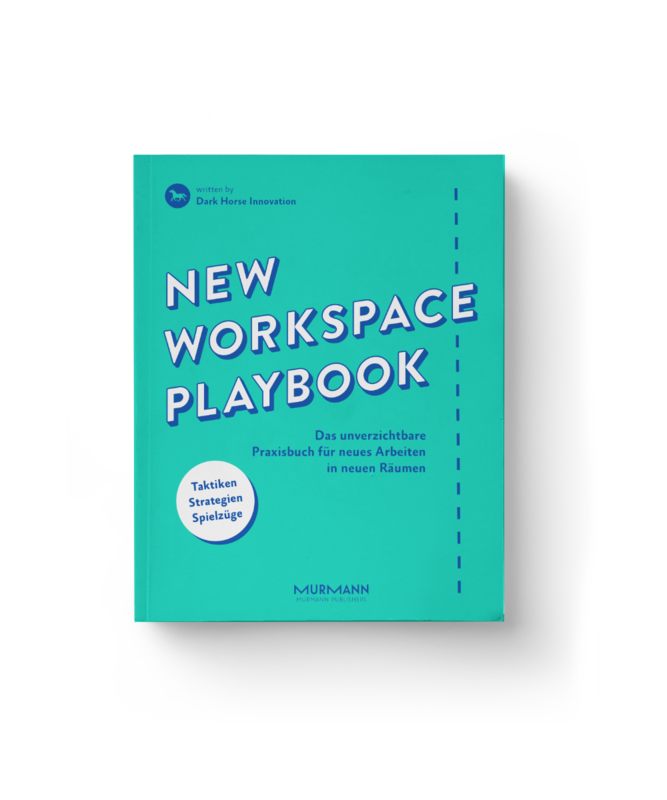 The new office supports the dynamic working culture of a creative agency through a variety of spaces such as open plan work clusters, semi-private discussion areas, private meeting rooms, and enclosed offices. 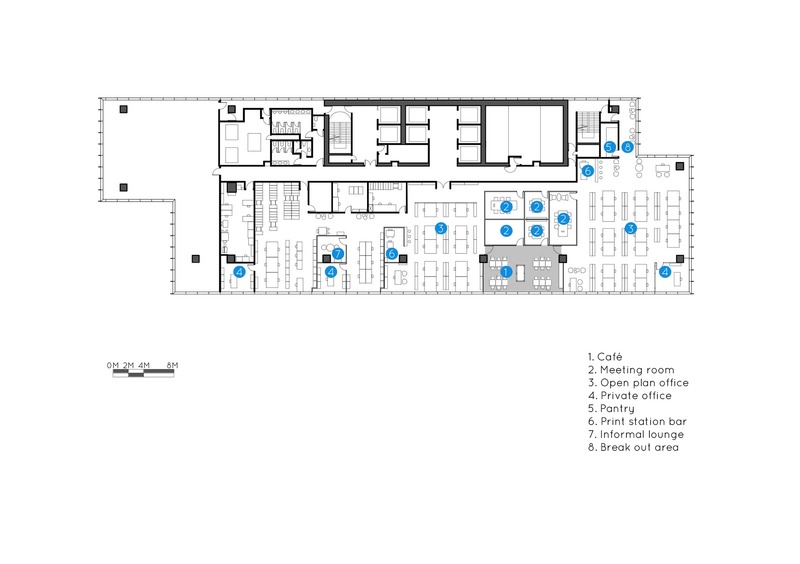 The main feature of the new workspace is a set of sculptural meeting rooms that inhabit the reception area. 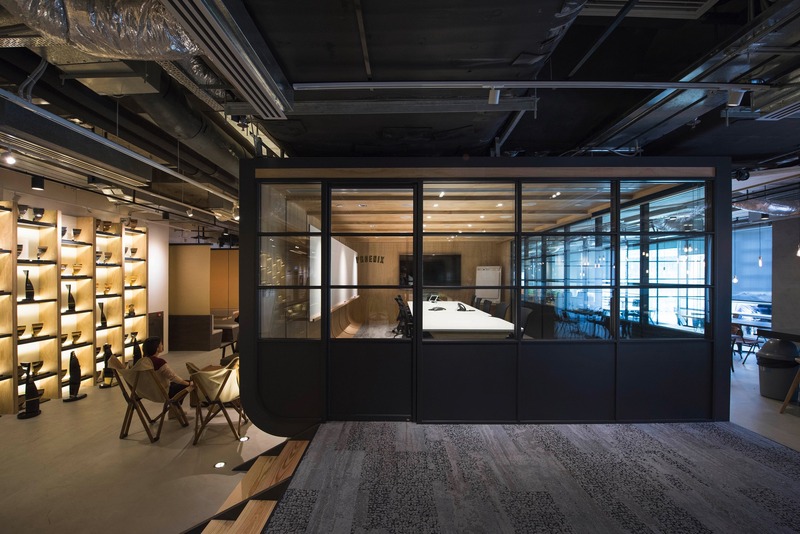 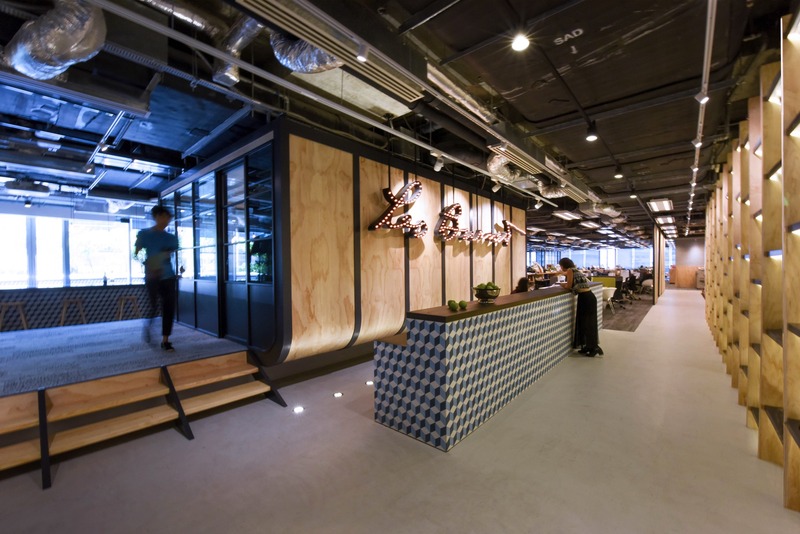 The meeting rooms, inspired by Kwun Tong’s history of ship construction, appear to be floating – with plywood panelled walls set into curved ribs. 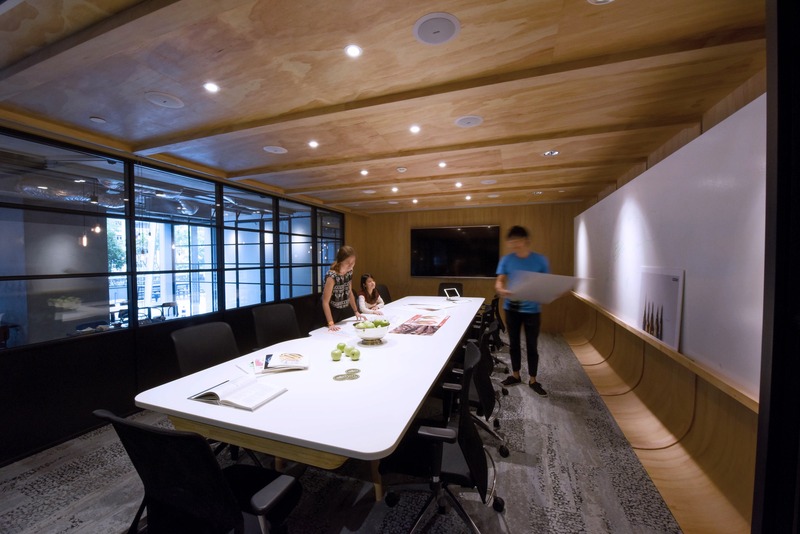 The bespoke CNC milled meeting tables inside were uniquely designed using layers of plywood and corian to house all AV equipment. 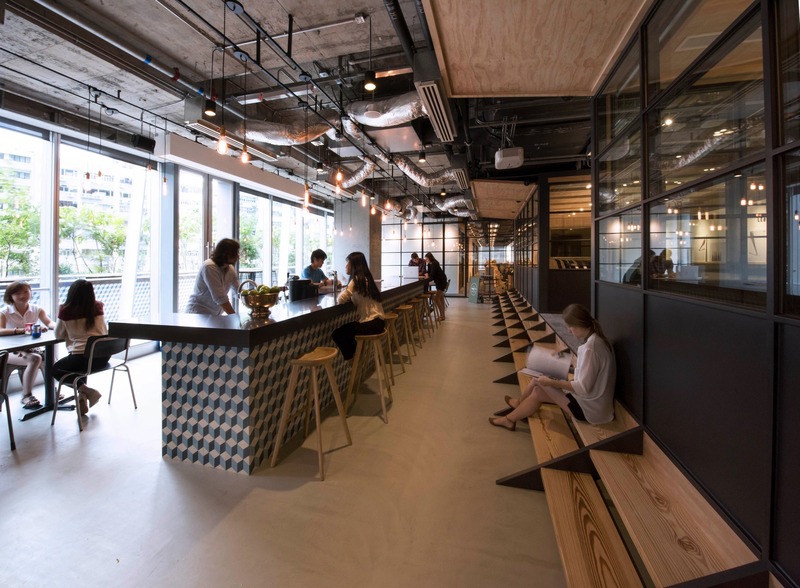 Located in the entrance area, and forming the reception counter, is the first of three tiled bar tables that layer the central space of the project. 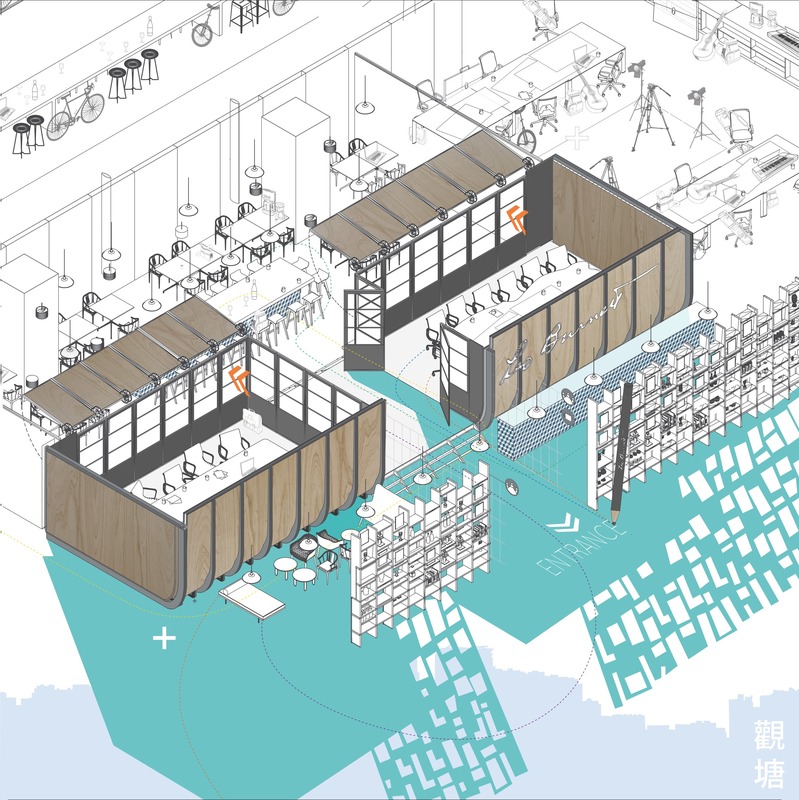 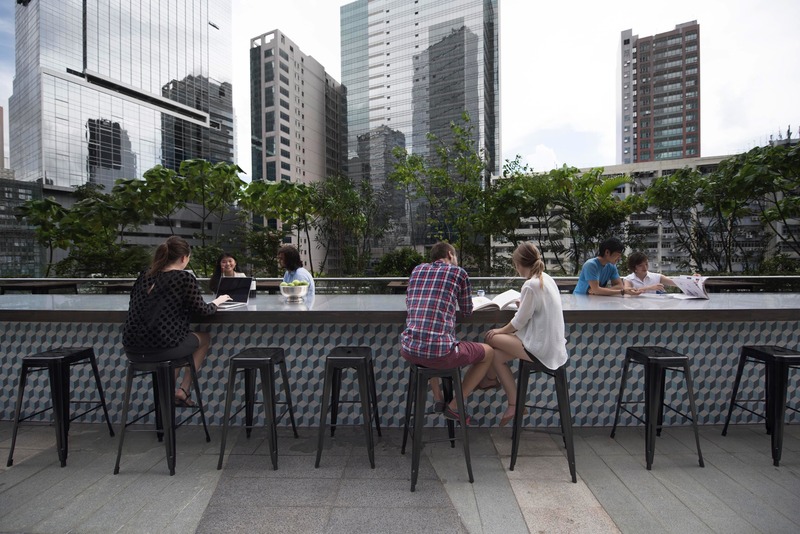 The second bar forms the café area, where staff can have lunch, hold informal meetings, or throw parties. 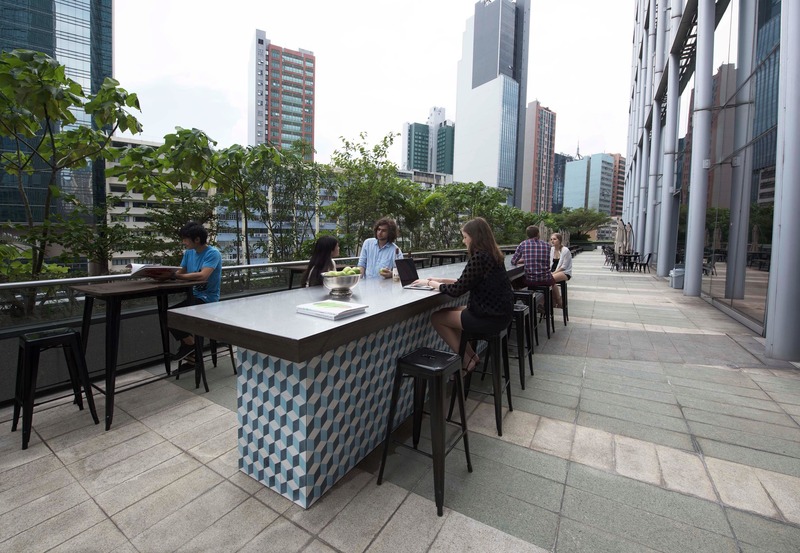 Beyond the café is a large outdoor terrace, where the final 10-meter long bar was installed for flexible events. 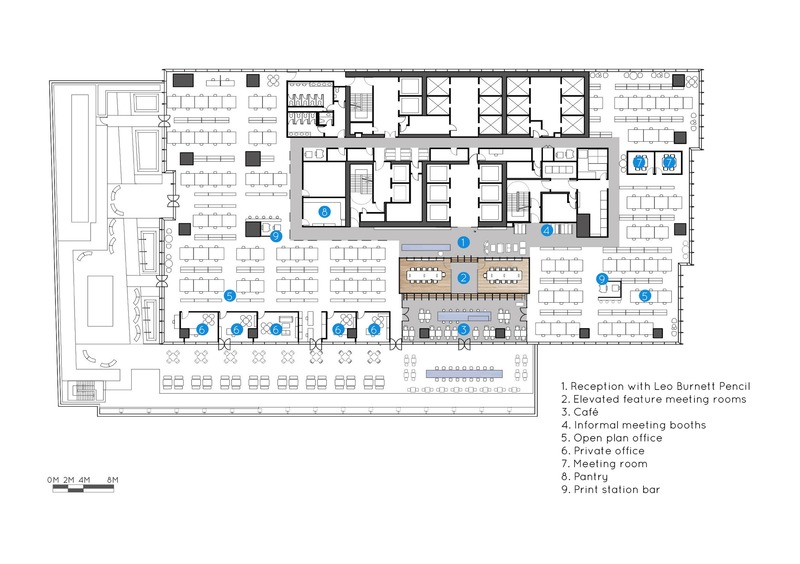 Enclosed offices are located along the building’s glazed perimeter. 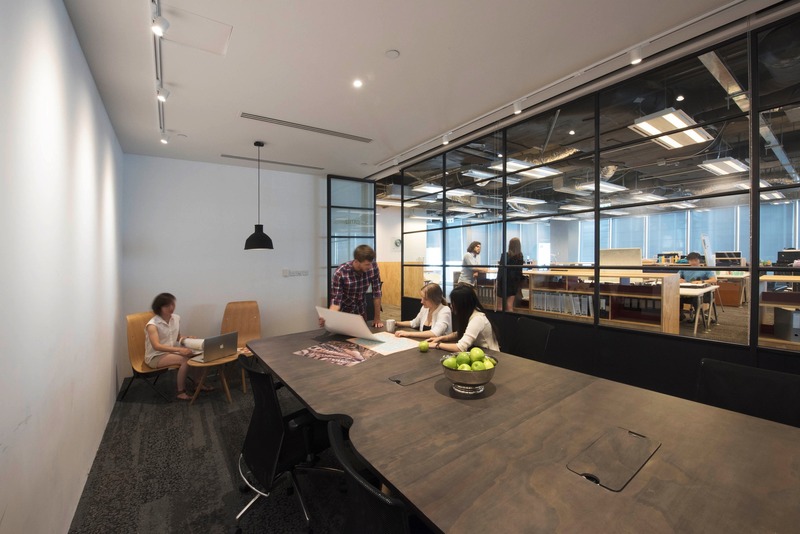 These offices have full height glass walls to preserve the visual connections across all spaces and to ensure that maximum natural daylight penetrates into the general open plan office. 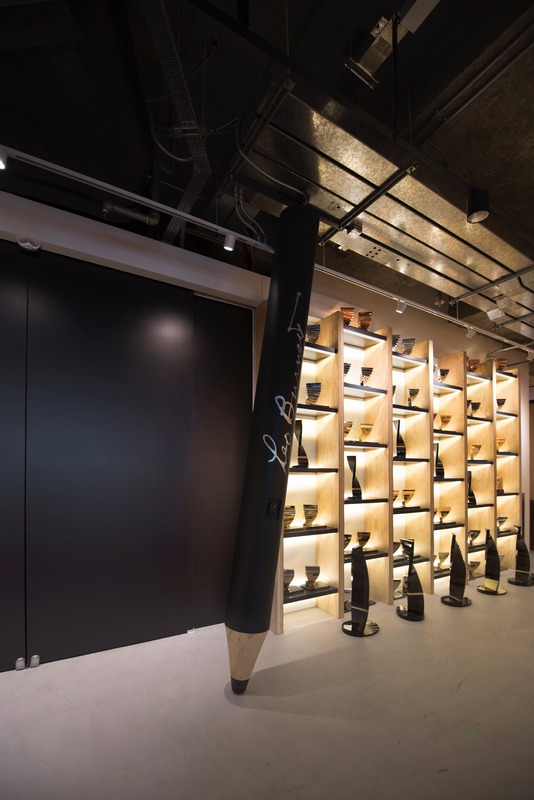 Leo Burnett believed that big ideas come from big pencils. 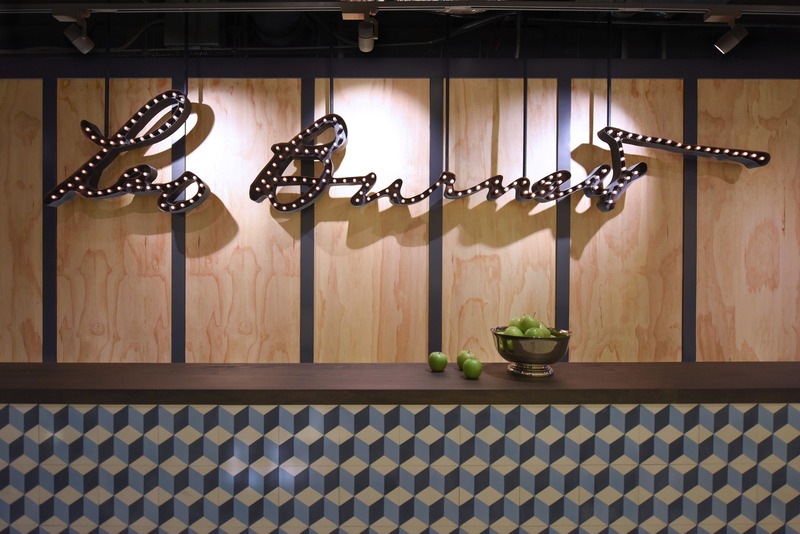 This famous icon of the Burnett Family is here also a key piece of the interior design.